Friend, God’s timing is perfect. I’ve learned that when we release ownership of our circumstances into God’s hands, we are in a far better place. In God’s hand there comes His peace, His rest, and His love to carry us through everything we face. 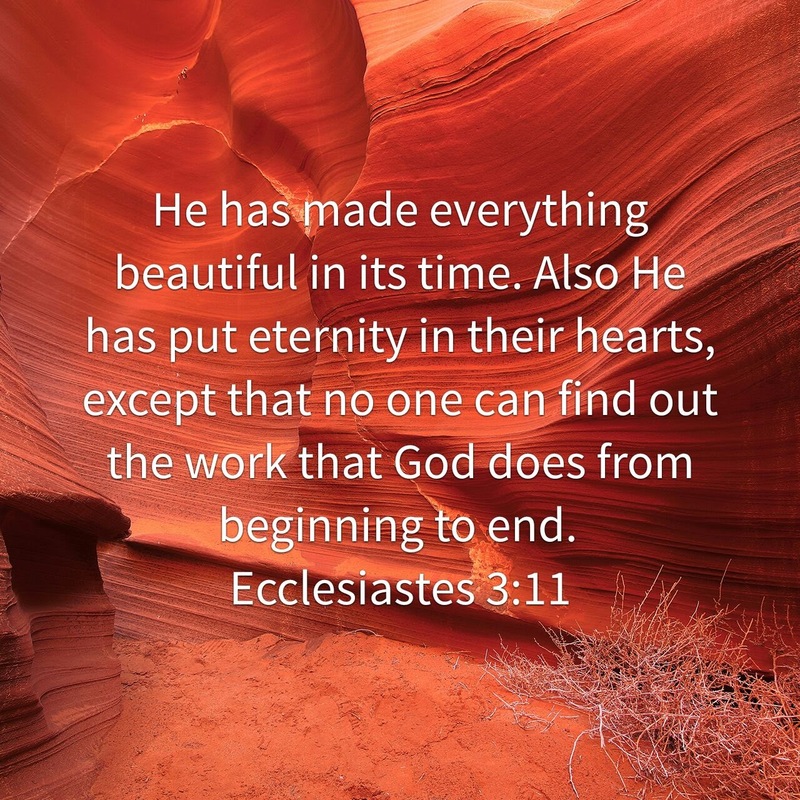 I pray for those who need to gain this understanding that He has made everything beautiful in His time. We see hear in the book of Luke that this Scripture places the choosing of the twelve apostles immediately after the remark about the beginnings of a plot against Jesus. You see, Jesus had just healed the man with the withered hand on the Sabbath. There were folks that were not happy about that. They were watching Jesus closely to see if they could find something to accuse Him of. What I want to key in on is it says “He went out to the mountain to pray, and continued all night in prayer to God.” There is no other New Testament passage that speaks of all-night prayer. Jesus knew His ministry here on earth and the choosing of His apostles required prayer. He was building His ministry and knew that prayer would be necessary. We often find ourselves praying for what seems to be a very long time for our family, our friends, our home, our desires, even our ministries, to quickly find out we have only prayed for a few minutes. Jesus knew what was ahead of Him. There was a revolution brewing. He knew His apostles had much to understand. And He also knew that His answers would come from His Father. He went away to pray all night. What should we do? How many minutes/hours are long enough? I don’t have that answer. But I know this. That every moment of time we spend praying to our Heavenly Father is not wasted time. Our Father wants a relationship with us that keeps Him on our mind and on our lips. The choice is ours. How much time will you spend? Friend, today I challenge you to spend time with God in prayer and remain in prayer a little longer than what you are accustomed. Let your conversation with God permeate His throne room. Let the ministering response from God wash over you. Prayer is relational. The more you pray to God the more you begin to know and understand the everlasting love and grace He desires to impart to you. Holy and glorious Lord. Thank you for hearing our prayers no matter how long they last. Sometimes a quick prayer is what is needed when we encounter something suddenly. But many times Lord we choose the amount of time we spend with You. Help us understand that every instant of time with You is blessed time. Where we can capture Your attention and we can share our hearts together. Let us set aside those things of the world that keep us from prayer and help us to redeem that time in a conversation with You. We love You Lord and desire a relationship with You. Let’s spend some time together. In Your Name Jesus. AMEN.